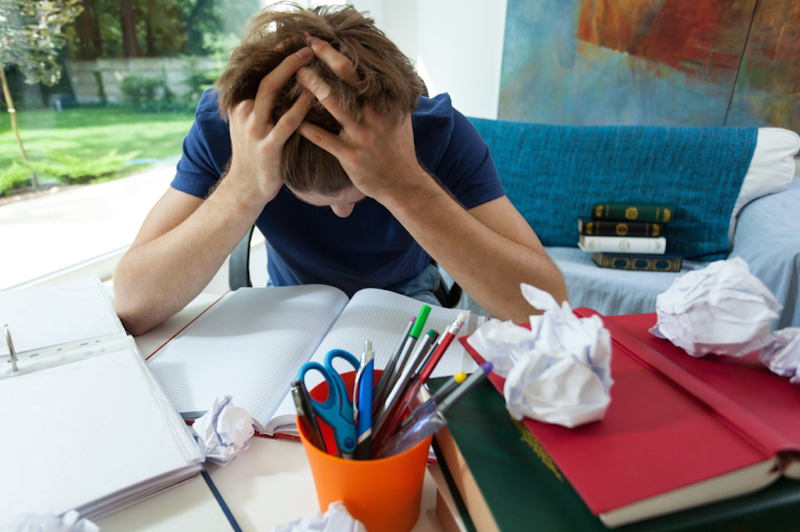 Many students find it hard to cope with the stress of final exams. Cope is a really common verb among native English speakers. It means ‘to deal with something difficult’ or ‘to face something hard effectively or calmly.’ You can also use it in the negative form, when you want to say that it’s too difficult to deal with something. She is a strong woman and copes with rude clients on a daily basis. It has been hard for Daisy to cope with the pain of her brother's death. I can't cope with this dysfunctional relationship anymore, Brian; I think we should break up. I don't know how we're going to pay for the car repairs, but somehow we'll cope. Another way of saying cope with something is deal with something. Deal with can be used in almost all instances where you would used cope with, but unlike cope, deal cannot be used on its own without an object. So, you can say “I don’t know how you cope with all your work” or “I don’t know how you deal with all your work,” and you can say “You’re always so busy; I don’t know how you cope,” but normally not “You’re always so busy; I don’t know how you deal.” An alternative verb you can use without an object is manage (“You’re so busy; I don’t know how you manage!”). Though rarely used these days, a cope is also a large cloak or mantle, especially the fancy mantle worn by priests or bishops over their white vestment on special occasions. Cope dates back to the mid-14th century, as the late Middle English verb coupen, which originally meant ‘to quarrel’ or ‘to come to blows, deliver blows or engage in combat.’ It came into English from the Old French couper or colper (to strike or hit), from the noun coup or colp (a blow). It can be traced back to the Medieval Latin colpus, from the Vulgar Latin colapus and the Latin colaphus (a cuff or box on the ear), from the Greek kolaphos (a blow, punch or slap), though its origin before then is uncertain. The sense evolved, by the 18th century, to ‘handle’ (usually successfully) or ‘deal with,’ due to the influence of a completely different cope, now obsolete, which meant ‘to buy, traffic or bargain for something,’ and was used by merchants until the 17th century. This cope was Germanic, and related to the English word cheap as well as Copenhagen.